To the Barricades! The Doctors’ Revolt Against ABIM is Succeeding! Finally, PPA Requests Congressional Hearing, IRS Investigation of MOC Program complete with video. Don’t forget about the costs for DEA Re-registration Q2-3 years, state medical licensure re-registration Q1-3 years, and annual society dues (in the 1k/yr range for each in my specialty, with more than 1 annual society, and independent of the MOC fees that they also oversee…). It’s a bizarre, parasitic, set of memes that have formed to harvest from us. I would suggest that anyone else who is incensed about this MOC debacle put their money where their mouth is. The group referenced in the above post, Practicing Physicians of America (PPA) has a go fund me page to raise funds to cover litigation against the ABIM. Although I am a family doc and not directly affected by the ABIM , I believe in the suit and proudly donated $200.00. In Psychiatry, the written test is every ten years. It cost $700 to register, $700 for the test and then the test preparation products. As you say, you must pass, so you have to over study. I paid $1000 for a board prep CME product and $550 more for a battery of 1500 practice questions with detailed answers. I studied for 100 hours total, about ten hours a week for ten weeks. I took a day off work to go to a computer center with SAT like security, fingerprint scan in and out, etc. I took the poor quality multiple choice 200 question test and got 93% on it. The cutoff for “passing” for my test day cohort was 68%. It had nothing to do with the practice of many psychiatrists. It was mostly a waste of time and money. Now, they make me pay 1/10th of the fee per year for the next test in ten years even though I’ll be retired by then. I guess they figured out that many of us will NOT take another and they want my $$ every year in the meantime. 10 hours a week for 10 weeks? Wow. Could it be that part of this for you and PoF is that you are overachievers? He scored in the top 25% as I recall and you obviously far-exceeded their expectations. I have never studied anywhere near that much. It isn’t that I’m brilliant either. I just figure I know the stuff I do pretty well. For the preparation, I go to a course, read a slim review book and an article or part of a chapter. I do a few practice questions just to get used to taking tests again and I’m good to go. I have a friend who said he didn’t have time to meet me for brunch because he is studying for boards. He misses his wife and kids because he studies all weekend. I have no doubt he could pass the exam without any of that studying. Why not just see it as an opportunity to bone up on a few areas you are weak on and pass the test? 100 hours and family-time deprivations aren’t part of the board requirements. The problem is I had not seen the test in 10 years nor did I know how it may have changed in 10 years, and the cut off rate for passing is arbitrarily different for each cohort that takes the test on any given day. I over studied to make certain that I wouldn’t have to spend that $3000 again and that I wouldn’t have to re-study. I’m not sure I’d call it trying to be an overachiever so much is trying to make sure that it was finished and that I wouldn’t end up spending more time and more money on the same baloney. I think the option to injustice is to take it to the courts and let them decide – this is racketeering. The American Board of Radiology has almost followed in lockstep with the ABA and I too felt like I got screwed by the system taking the 10 year cognitive exam early. When I first entered radiology, when you finished residency and passed all 3 required steps in the board exam (physics, written, and an oral exam typically taken in 2nd, 3rd, and 4th year of residency respectively) you were granted a lifetime board certificate. In my 2nd year of radiology residency, the ABR made a blanket statement saying that the lifetime certificate would be no longer given and instead replaced with a 10 year time limited one. Instead of letting every current year of radiology residents be grandfathered in, they only allowed the graduating class to be the last ones to get the coveted unlimited one (I missed it by 2 years). The class above and mine were essentially the guinea pigs as the ABR had no idea what the cognitive exam would consist of, there was no material, and of course no older colleagues to pick their brains on what to study for. I was allowed to take the Cognitive exam, which was supposed to be good for 10 years, a year early before my initial 10 yr was complete. The exam was offered only in a few locations in the US and I had to take time for work (and pay coverage), travel to Chicago and stay in a hotel, take the exam (I believe it was 4 hours) and then travel back. Not to mention the cost of the exam (forgot how much but $2100 sounds about right), study for it etc. Then in 2018, 6 years after I took the cognitive exam, the ABR announced the introduction of OLA (online longitudinal assessment). It consisted of weekly quizzes where you are supposed to average 52 questions/yr out of the 104 given. I thought I would be exempt until my 10 year exam expired. I was wrong. The ABR essentially declared the cognitive exam no longer valid and put everyone in the same weekly quiz pool. They also raised the price of annual fees (I believe now $360/yr (up $60)). Some radiologist I know had just taken the cognitive exam and had it valid for 2 months or so before they got screwed. Practice quality improvement projects required by the ABR (another absolute useless hoop to jump through) and MOC have shown not to improve patient outcomes or quality. It’s a business making move and the specialty boards have a monopoly with a captive audience who is subject to any whims just to maintain that coveted board certification. I am thrilled people are starting to sue their respective boards, with the biggest one being the American Board of Internal Medicine. It is about time that docs fight back and let the boards know that we are not just sheep to be fleeced but have backbones too. Before you even get that far you have to take step 2 CS which is just a English language proficiency test that costs $1500. And that is while you are a med student living on loan money. I agree. What a worthless exam step 2 CS was. The text was expensive, and you most likely had to travel to an expensive city (Chicago for me) to take the exam. I told the Med School class after me when I was asked about it that as long as you spoke English and didn’t molest anyone during the test you would pass. A complete money grab. Luckily, that wasn’t a part of the program when I took the USMLEs in the early 2000s. My University had us go through at least a couple OSCEs (Objective Structured Clinical Exam) as part of medical school. The USMLE CS would have been completely redundant and costly. The original credentialing exam in my specialty was the biggest joke! I dislike how the training programs are “held accountable” for passsing or failing these exams. Given the test is so bad, I’m not sure what failing even means. But training programs are incentivized to scare their trainees into studying over becoming a better doctor at a time when you should be honing your clinical skills. Oh and they cost way too much but that is just an extra irritant. Board exams are a net negative on society and need to be reformed or revoked. In theory board exams and moc are a mechanism to prevent incompetent physicians from practicing. That is a challenging problem but these board entities are not even trying to come up with a valid solution in my opinion and are raking in cash to do so. I would be happy to be part of a group of concerned physicians to make this right. I’m excited to read more about others who have led in this regard. As with much of the “paper trail” we have to do, it is being driven by people who have no idea what clinical medicine is all about. Re-credentialling is another one of those jokes….submitting everything you submitted 2 years ago…again….is just a way our overlords show their dominance. Oh…and if you didn’t do 5 central lines in the past year…you lose your privileges to do so. I believe it’s ultimately driven by the lawyers…each hospital wants to have a way to say “not our fault!” if something goes wrong. Engineers are so much more practical than doctors. We only take two tests, both in the first 4 years after graduation and as long as we keep up continuing education our professional license stays valid. And in most cases most engineers don’t bother to become licensed. The medical version sounds expensive and complex. There are a lot of valid points here. I see and think of things differently though. I realize I’m in a minority view here. I don’t expect to persuade or change minds or win an argument so I won’t try. Just sharing a couple of thoughts. I agree there are abuses and inefficiency in the MOC process. I’m glad there is growing accountability and transparency. That may keep fees in check too. I agree that most doctors wouldn’t say it is “perfect.” But what is? I don’t expect perfection at all. Overall I’m glad for the MOC, certifications, and exams that mean something. If I have to study to retake a basic exam that means I have lost critical knowledge. I apparently need the pressure, cost, and potential embarrassment of a formal exam to get me to do the hard work of learning and relearning. Others do too judging by what I’ve seen at CME conferences. In Denver, I saw a big group of doctors sign in and then go hit the slopes all day! Right now I’m studying for a subspecialty exam. It is considered optional for me at any point in my career, but especially now (20 years in). I thought about not renewing, but decided to go ahead. It will demonstrate my knowledge and proficiency to anyone who cares. It will force me to learn and relearn critical knowledge. At the conferences, I always learn great stuff – often from informal conversations with peers at the courses. We wouldn’t be at the course except for the upcoming recert exam. But since we are there we make the best of it and learn. I have taken many optional exams and tests and certifications to put my feet to the fire. I figure if I do well it proves that I know my stuff. If I don’t do well, it exposes critical gaps. They have made me a better doctor. From an economic standpoint the certifications and standards form a barrier to entry and a measure of dedication even if “quality” studies don’t prove it. I know I have helped my patients with knowledge I gained either while studying for a re-cert exam or from a conference that I took in preparation for an exam. Quality and knowledge are tough to measure, but MOC has helped me and my patients. The fees of a few thousand dollars a year may seem unreasonable. Maybe they are. But my employer pays $4K per year. Any other expences are tax deductible. The field provides me with an income over $300K per year and the price of fees should be put into that context. I find it sad that doctors need to be forced to take CME and exams in order to provide external punishment as a form of motivation. They are needed though. I worked to develop training programs and educational workshops over the last couple decades. Unless you offer necessairy CME credit and offer food the attendance will be pathetic. We usually try to offer booze and door prizes to get more people to come. Ugh. The medical knowledge of the average doctor declines over a career. We get lulled into complacency in our easy niche practices until we get to a point that we could no longer pass a basic entrance exam in our field. I also think learning is never “wasted” time and effort. I find almost no knowledge is useless. If we look to review and apply it we can see the value in all knowledge. One last note, and then I’ll get off my high-horse. This is becoming more of a blog post than a comment. (Hey, maybe a pro – con opportunity?) Because of an upcoming 10-year recertification exam I was reviewing strokes. I don’t treat CVA in my practice. I read a review article, a chapter, and went to a neurology talk about CVA to review and update my knowledge. The next morning my mother had a stroke. No one was sure what was going on with her. She went to the ER but they were ready to send her home. Because the material was fresh in my head I was sensitive to the possibility. Her hemiplegia progressed before my eyes. I jumped into action with the ER and Neuro team. This was not at a “stroke center” but they were able to TPA her. All of her symptoms and findings completely reversed before my eyes. It was an absolute miracle. That “useless” “wasted” knowledge that “didn’t relate to my current job” came in very handy when I discussed her findings and plan with the team. If we had taken her home and had to come back and delayed her treatment any more she would have permanent neurological deficit. So that’s it. I don’t know if this is clear to others. I’m not saying the process of MOC is great. My favorite part is knowing that I have to sign up for CME events, pay for it, attend, get a certificate and retain it. I then have to pay my board for a “CME Recording.” I go to their portal and type in what CME I attended and how many credits I got. I do 100% of the work in logging this on their portal for them. If I don’t pay them promptly for the work I do to record my CME they will increase the charge as a penalty. Absurd. Go after them, guys. You should. Along with anyone else who is being overpaid within those organizations. But let’s remember some of the benefits of learning and relearning too. I agree that it is our professional responsibility to maintain competency and that learning things is valuable even if not directly in one’s current clinical practice. I personally object to memorization of pointless trivia, as opposed to concepts, that is part of medical education/testing. The example of recognizing a CVA is not tested effectively in my experience. The specialty boards have just become the epitome of rent-seekers. They do their job poorly and overcharge at every opportunity. Physicians have no recourse because the specialty boards have positioned themselves such that resisting is not generally worth it for an individual. You said that after your employer’s CME budget your board expenses are tax deductible. That’s only true if the expenses exceed 2% of your adjusted gross income. Either way, using pretax or post tax dollars to pay for MOC is a waste of money compared to spending it on high quality CME. Taxes aren’t my strong point. But in the past, I have had consulting work and 1099 income that relates to the conference material. I believe I used a Schedule C deduction off the 1099 income (after my SEP-IRA max) to reduce my taxable income. I don’t think there was a 2% floor with that. I’m getting ready to leave for a CME conference. It will be “high quality” and not a “waste of money” for me. Part of my motivation is to prepare for an exam to renew my subspecialty certification. Everybody is different but the test helps motivate me. I also tend to learn well at conferences and with tests and test prep. I acknowledge that isn’t for everyone. As you stated, my biggest gripe is that those certified before 1990 get a free pass. As a cardiologist, I have partners who have been practicing for 30 years or more and are still allowed to call themselves board certified in Internal Medicine and Cardiolofy …and have never taken a re-certification examination. This demonstrates the hypocrisy of the ABIM by allowing them to do this. Two years ago when I re-certified in Cardiology once again, I said to someone, “At age 55, I am the oldest person in my practice to pass a re-certification examination.” Then it dawned on me me … At age 45 10 years earlier I was ALREADY the oldest to pass a re-certification examination. This is simply not fair. If the purpose of this change was to keep demented doctors from continuing to practice (which has been secretly known to happen), we have to wait 40 years to catch the first one. American Osteopathic Association just settled a big lawsuit, but it wasn’t about MOC. However they copied ABMS a few years ago and call it OCC instead of MOC. If you were old enough to finish training by 1997 you are certified for life. Board certification is pretty much not voluntary any longer but does recertification really improve care? Why do older physicians get a free pass, if MOC/OCC is supposed to be good for patient care? I wonder if the AOA will be joined in the lawsuit against ABMS. I’ll also post from the accountant side of things. The CPA exam takes a lot of work, but once we are certified, we do not have to retake. I’m work in audits of public companies for example and therefore much of the tax sections of the CPA is useless. Likewise for my father in law which does personal tax returns and hasn’t touched an audit in 20 years. That information would truly be wasted because we will not use it. At All. The difference between me and a psychiatrist who is NOT board certified is the passing of the expensive test and paying of the yearly fee. That’s it. 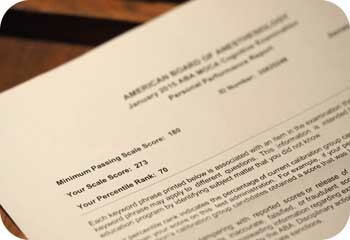 I passed a poor quality multiple choice 200 question test. It had not been re-written in some time as about 30% if the questions came directly out of the test question bank of 1500 questions that I had purchased from a CME company. The idea that they can make me pay a non-refundable fee every year toward the next test that I may never take (in ten years) is theft. In many states, board certification is still tied to insurance panel access and hospital privileges. It no longer gets you any extra money like it used to (about $5000 more salary a year) back in the 1990’s. If people knew what it required, they would not respect it. My original certificate said I was certified and had expiration dates on it. My new certificate says I have met MOC standards, but if I don’t pay the yearly fee, the ABPN website will say that I have not. I just sent the first payment toward a test (due at my age 64). At least in the past you were only out the actual fee. Now I am out the opportunity cost of investing those funds. The fee after passing the test is $175 per year. They say this is for use of the folio account online. Invested yearly at 6%, this would be $2700. I just read that the Psychiatry exam has a 95% pass rate. So, pay up and study up, then get into the coveted top 95%, putting the absolute bottom 5% to shame. I think those folks must go in “cold” or don’t study…then pay up a second time, actually study a bit, then get out of that 5%. If it wasn’t because of insurance companies I wouldn’t certify for anything. It’s worthless. I am not supporting the MOC mob any longer. Joined NBPAS instead. On Wednesday, 23 Jan 2019, the class action antitrust lawsuit previously filed against the American Board of Internal Medicine (ABIM) in Pennsylvania federal court was amended to include claims under the RICO Act and state law unjust enrichment claims.